Garzya is a contemporary Neapolitan poet and has other poetry in these pages here and here. He recently returned from Israel, where he visited Masada, the mountaintop stronghold in the Judean desert and site of a Roman siege in 73 AD to oust Jewish rebels. The siege ended, famously, when the rebels committed mass suicide rather than surrender. Garzya was moved to write these lines. My English translation on the right is presented here with permission of the author. 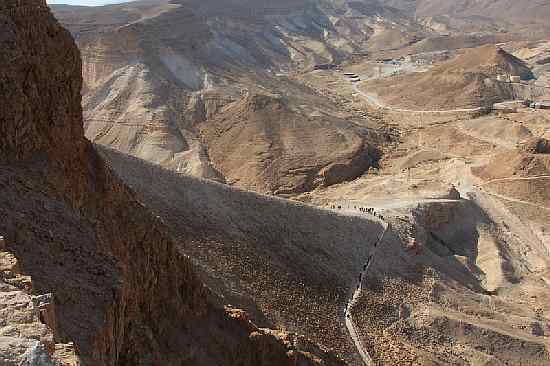 of the Thousand of Masada.